Your private tour (8 to 13 guests) will take you to some of Queensland's best wineries at Mount Tamborine and Canungra Valley. You will also get a chance to visit the Tamborine Mountain Distillery, makers of fine liqueurs and spirits. The advantage is that you have your own bus, your own guide, and you can enjoy yourself at your own pace. We have selected the wineries that we believe are the best in the area (quality, tasting experience, ambience, and generosity in terms of your "samples"). With 18 years experience we know what you want and we aim to make it an entertaining, fun and memorable experience. Private guided tour. Own bus. Small group 8 to 13. 8 hours of fun - 9am to 5pm. 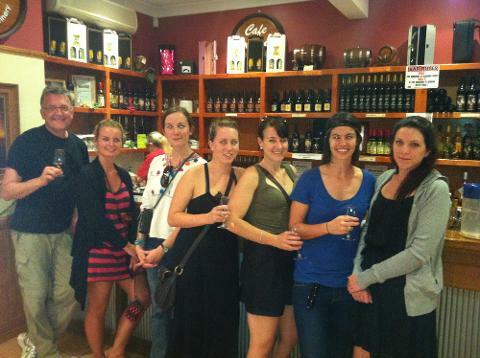 Visit wineries in both Canungra Valley and Mount Tamborine. Travel through some of our most picturesque countryside as we travel from Brisbane to Canungra to Tamborine. We take a circuit route to make the journey as interesting as possible. We always include a stop at Gallery Walk, the district's famous arts and craft district. 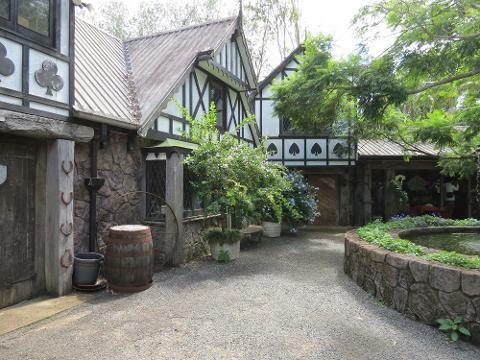 Here you can enjoy a beer at the micro brewery, stroll through the various arts, craft, jewellery and clothing galleries or try some additional wines at the Mount Tamborine Vineyard and Winery or Castle Glen Winery (own cost). A delicious lunch at one of Tamborine's wineries. Choice of main course plus tea/coffee. (included). Plenty of time to enjoy a glass of wine or two! On board water and snacks. Complimentary group pickup (anywhere from Brisbane (within 10km of CBD), Logan Central / Springwood), or Gold Coast (as far south as Broadbeach). Tour company operating since 1998. Award winning. 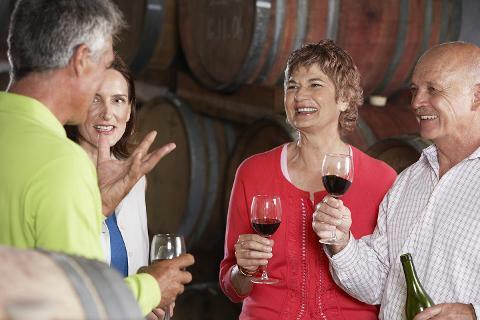 Visit wineries in both the Canungra and Tamborine wine districts. Some "free time" at Galley Walk to do your own thing. Pickup and drop off times can be varied to suit guests.